My family loves Lady Peas. I don't grow them at my Georgia home, but never pass up buying them at farmers' markets during the summer. 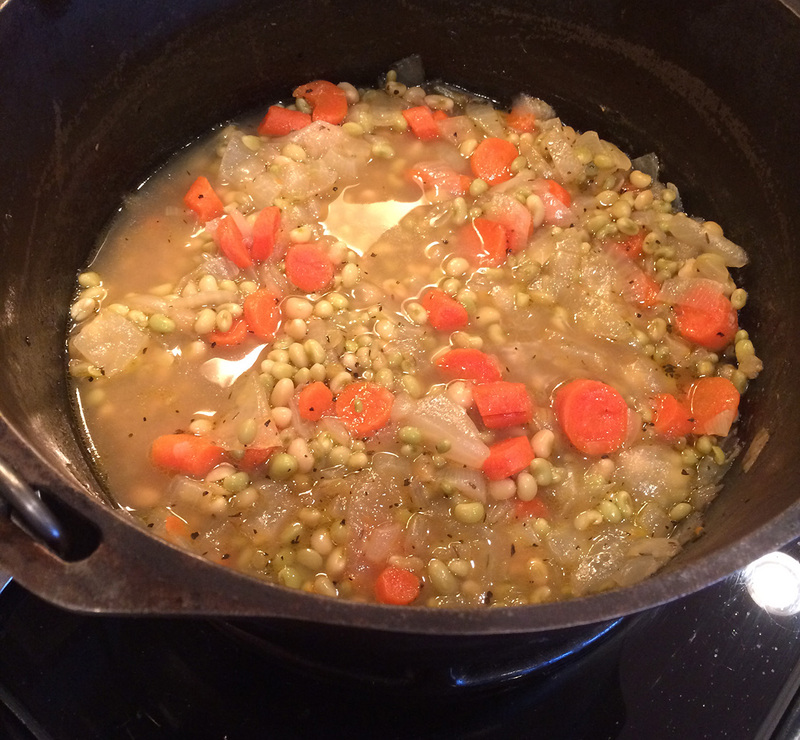 Because we keep a stock on hand in the freezer, we can enjoy cooking and eating Lady Pea dishes year 'round. For New Year's, I make a feminized Hoppin' John with Lady Peas instead of black-eyed peas. And on rainy days, we often cook up a pot of Lady Peas at lunch. We prepare several versions of Lady Peas and here is one my husband, David Simmons, made on a rainy morning last week. The fresh frozen peas from the farmers' markets are tender and cook much faster than dried peas or beans so watch your cooking time and taste at intervals to make certain you don't overcook them. You want the peas soft, but still slightly firm. Think comfort when you cook a pot of Rainy Day Lady Peas. Serves 6. Recipe is by David Simmons. Sauté chopped onions in butter over medium heat in a Dutch oven until onions are clear. Add Lady Peas and carrots to the pot and sauté for 2 minutes. Add chicken stock, cane syrup, basil, thyme and chicken bouillon powder to the pot. Stir to evenly distribute seasonings and vegetables. Simmer uncovered for 30 minutes or until carrots are soft, but firm. Cover pot. Turn off heat and let sit for 5 minutes before serving.